The US Air Force is increasing computer simulations and virtual testing for its laser-weapons program to accelerate development and prepare plans to arm fighter jets and other platforms by the early 2020s. To help model the effects of such technologies, the service has awarded Stellar Science a five-year, $7 million contract for advanced laser modeling and simulation. Low cost is another key advantage of laser weapons, as they can prevent the need for high-cost missiles in many combat scenarios. 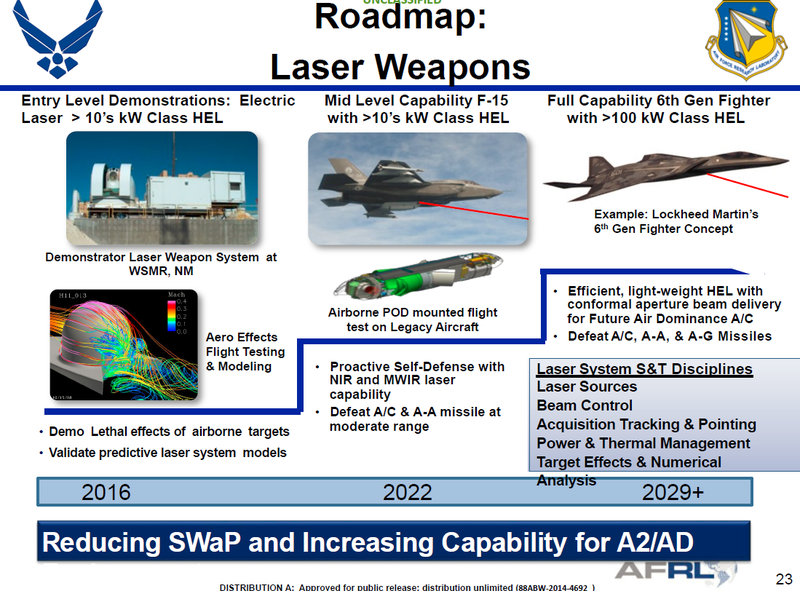 Air Force Research Laboratory officials have said they plan to have a program of record for air-fired laser weapons in place by 2023. The first airborne tests are expected to take place by 2021, Air Force officials said. 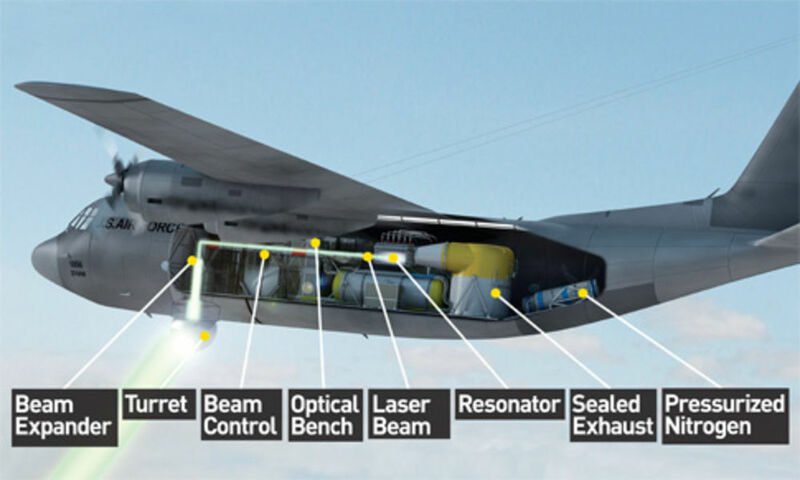 Much of the needed development involves engineering the size weight and power trades on an aircraft needed to accommodate an on-board laser weapon. Developing a mobile power source small enough to integrate into a fast-moving fighter jet remains a challenge for laser technology. 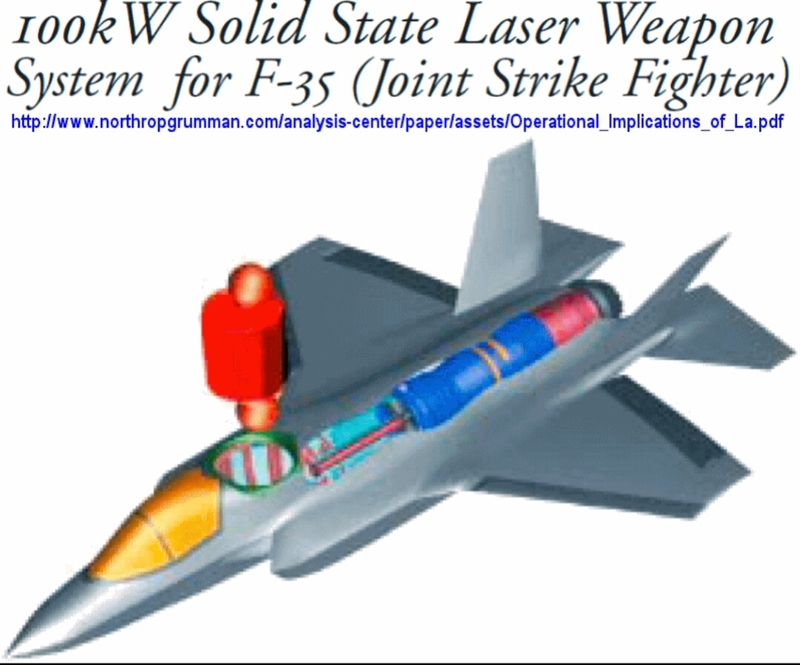 Air Force leaders have said that the service plans to begin firing laser weapons from larger platforms such as C-17s and C-130s until the technological miniaturization efforts can configure the weapon to fire from fighter jets such as an F-15, F-16 or F-35.